This slideshow includes campers on the Climbing Tower, Second Session 1986 Day and Dog Show at S4G, Olympics and fun at the Lake. Enjoy an end of the summer weekend at Tripp Lake: September 2-5, 2011. Guests may stay in cabins, pitch tents, bring a motorhome or find a local hotel. Entrance fees will include dinner on Saturday and Sunday evening. The Lake (including boats), tennis courts and other facilities will be available. Contributions of $20/person for the weekend are greatly appreciated. Children under 6 years old are free! Important: please RSVP by Sunday, August 28th. Anyone related to Camp is welcome. Check out the Facebook Event page for more information and to RSVP. Hope to see you there! The opening week of Second Session is a special time for all of us on the S4G staff. Second session campers began arriving early Sunday morning while the full-season campers returned back from a fun weekend at Lake Ontario. We got off and running with two days of World Games, announced our Orange and Blue teams and began those games. At camp the weeks seem to fly by and before we knew it, the weekend was upon us. 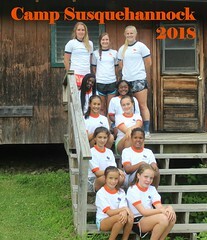 Saturday was our celebration of the 25th anniversary of the Susquehannock Camp for Girls, so we started with a special Morning Meeting. We are so grateful to our guests, Dede and George Shafer, Mary and Jim Powell and Cannie Shafer. As many of you know, Dede and George Shafer ran the girls camp for many years, so it was a special treat to hear them talk about all the planning and work that went into the creation and running of a new camp. Mary and Jim Powell told us stories, punctuated with songs. They taught us songs that we had not been singing for the past few years; if you have never experienced Mary and Jim leading songs at camp, you have missed out! Cannie Shafer, who was the original Program Director at S4G, told us more stories and really helped us understand our part in the history of the girls camp. Usually I try to write a recap of the events of the week, but this week, I had some difficulty. S4G had their Once-In-Every-25-Year Dog Show and it was so funny, sweet and above all else, fun! 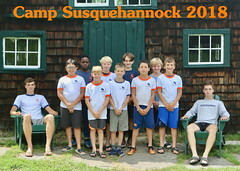 Campers and counselors were assigned dog breeds and competed against the other breeds in several events. This is an activitiy that definitely needs to be experienced to be understood! The stand-out moment of the show was when the judges commanded the dogs to play dead. The Dalmations, Golden Retrievers and Poodles all followed the commands, but the St. Bernards followed their instincts and ran to the other breeds to perform CPR. If this does not sound funny or even fun, it must be because you weren’t with us on Saturday. Please click over to the galleries and look at the creative and funny photographs from the Dog Show. All of the games and activities on the weekly schedule provide the framework for a healthy, fun summer, but it is our strong friendships that we make here that touch us forever. It is the people who support us, laugh with us, cry with us as we go through our days here that keep us coming back. I hear the campers talk about this all the time and I see it every day here at camp. The singing, the laughter, the joy and the tears. The games, the clinics, the meals, the competition. All of these things are the parts of camp, but the sum is truly greater than the parts. I see the difference that camp makes in the lives of all of us and I hope that you recognize it as your daughters, sisters, and friends return home in a couple of short weeks from now. 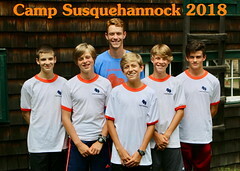 The boys at Camp Susquehannock learn a lot of skills each summer. Just today I observed campers practicing lay ups in basketball, forehands in tennis, and stick handling in street hockey; all valuable skills for an athlete. Despite its importance, there is one skill we teach that is dreaded by many campers: swimming. We have a young camper here in his third summer. When he arrived three years ago he could not swim and was afraid of the water. The swim instructors worked tirelessly with him the past two and one half summers. First he learned to hold his breath and go under water. The he had to float on his back. Next, he was taught to glide, then a modified breast stroke. He was able to swim a few strokes with his face in the water, stand up, take a breath, and swim a few more strokes. He swam 25 yards with a kick board. He swam 25 yards without a kick board. Every step of the way his body was rigid with fear and anxiety. There were a lot of tears and there was a lot of tough love. Last week he passed the camp’s basic swimming test, the 500 yard swim. Two days ago I watched him swim confidently across the free swim area to the floating dock which is anchored in 16 feet deep water. The smile on his face radiated pure joy. At that moment I paused to think about the significance of knowing how to swim. I feel as if I have known how to swim my entire life. I have taught countless children, including my own two, how to swim. Swimming provides hours of fun and exercise. Yet there are so many people who never learn to swim. We say the Lake is the most fun place at camp and certainly the most dangerous. So we train many of our counselors to be lifeguards and we teach our campers to swim. Learning to swim is not a full guarantee to safety in the water just like a great jump shot is not a full guarantee to play professionally; however, the personal health and safety benefits of knowing how to swim are critical to living a well rounded life. A smooth lay up or powerful forehand may earn an athlete recognition and awards, but swimming saves lives. You asked for it – here are photos from the first week of Second Session! 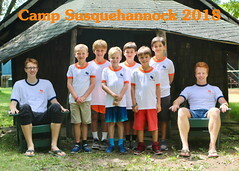 Events include: an evening on the Climbing Tower, the announcement of Orange and Blue teams, an Aikido clinic offered by Jamie Zimron and various clinics. 25 Jul Second Session Opening Day! Welcome to our Second Session readers! There was a lot of content posted during First Session including videos, songs and special event recaps and we’re planning to continue that – so please check back often! The best way to keep up with all the goings on around Tripp Lake this summer is to Like us on Facebook or follow us on Twitter. We will also be adding comprehensive galleries to our webpage periodically, so keep an eye out for that as well. Just like First Session, campers moved into their cabins and immediately took to the fields for games. 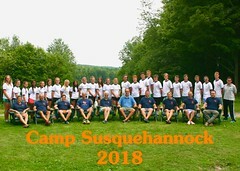 After visiting Tripp Lake and eating dinner, both Camps gathered on the porch of the Boys’ Lodge for a welcome from Directors Win and Cannie Shafer, the Senior Staff and counseling staff. 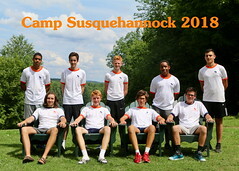 The boys played the traditional game of Dodgeball, which is contained in the upcoming slideshow. We’re very excited for the final three weeks, but they will go very quickly! 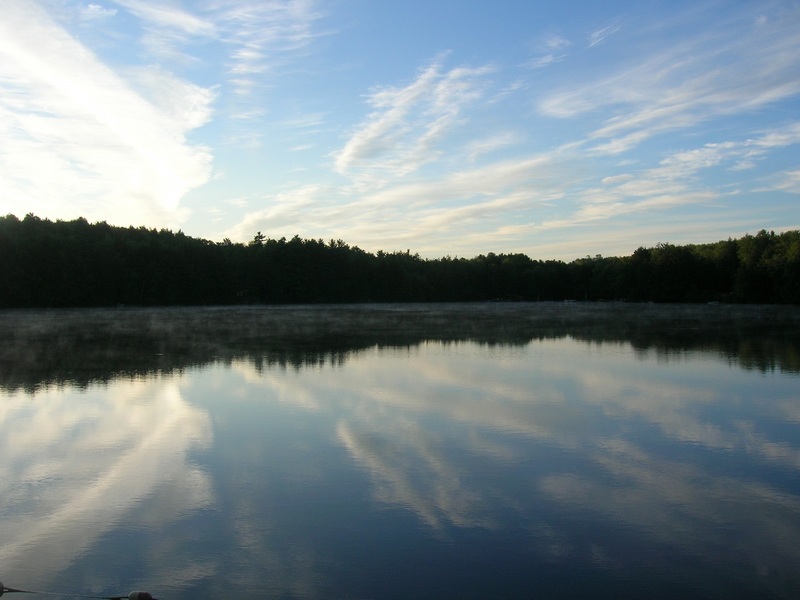 Check back often for updates from around Tripp Lake! Highlights include a trip to the Sterling Renaissance festival, swimming in Lake Ontario, massive turkey leg consumption and some good times with full-season friends!